Renovus Capital Partners Invests in Red Nucleus, the Premier Provider of Learning Solutions for the Life Sciences Industry - Berkery, Noyes & Co., LLC. 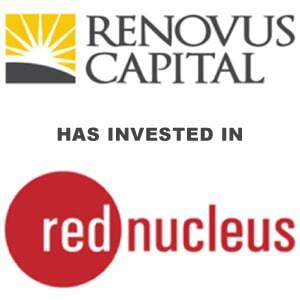 Wynnewood, PA – Renovus Capital Partners (“Renovus”, or the “Fund”) announced an investment in Red Nucleus Solutions LLC. (“Red Nucleus” or the “Company”). Renovus is a private equity firm based outside of Philadelphia, PA, focused on businesses in the education, training, and human capital industries. This is the second investment coming out of the newly launched Fund II. Red Nucleus is a life sciences learning solutions company headquartered in Yardley, PA. As part of the transaction, Renovus acquired a stake in the business, with the founders retaining a significant interest in the Company. Ian Kelly and Andrew Howe founded Red Nucleus in 2007, a leading full-service design and development provider of learning solutions for the life sciences industry. Through the Company’s best-in-class team, technologies and resources, Red Nucleus designs and produces a suite of learning elements which include, e-learning modules, mobile applications, virtual preceptorships, print modules and job aids, workshop design and facilitation, video production, and games that provide their customers with enhanced capabilities, increased responsiveness, and a comprehensive selection of targeted solutions. DLA Piper advised Renovus while Berkery Noyes advised Red Nucleus on the transaction. Founded in 2010, Renovus Capital Partners is a private equity firm that manages two SBIC funds investing in small and mid-sized businesses within the education and training sectors. To date, the firm has acquired sixteen portfolio companies in verticals such as corporate training, educational content, educational technology, traditional education and human capital. The firm is particularly interested in profitable and growing enterprises where the Renovus team can partner with the management to create value through acquisitions, new strategic initiatives and operational improvements. More information can be found at http://www.renovuscapital.com.